Clad Clad suggest a nice way, but you can also use regex search and replace if lines are too many that are scrolling off the screen. Just replace \d+. (with a space in the end) by nothing. 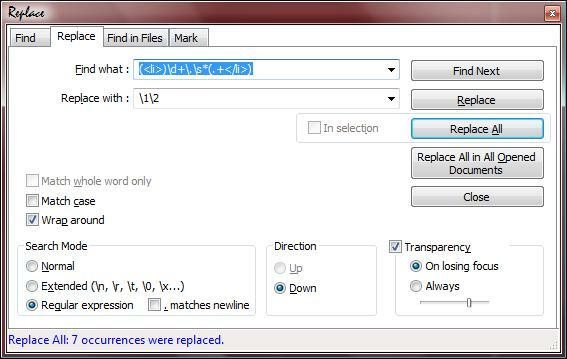 Remember to check on the regular expression option.